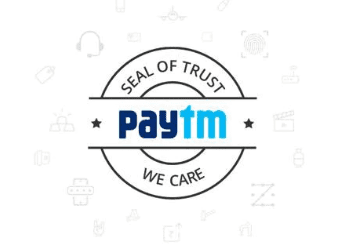 Paytm Free Promo Code – Get Rs 10 Cashback on First Recharge, Do you want to earn free Paytm cash with the help of Paytm free promo code? if your answer is yes then here is a great offer for you. Paytm is offering free Rs 10 Paytm cashback on recharge of Rs 10. Below given free promo code is valid only for new users. Paytm cashback might take a few days to credit in your wallet. So follow below given steps and avail this promo code. There are some other offers download below so don’t confuse. If you have any query then let us hear from you in the comment section below. Offer is applicable on the first recharge of the month. Cashback will be credit within a few hours in your Paytm wallet. Get Rs 20 cash back on recharge of Rs 20 or more. Offer is valid for a few days. Offer is valid only on prepaid recharge of Rs 20 or more. Cashback will be credit within a few hours of the transaction. Rs. 40 off Promo Code: NEW40 (Amount Rs. 40 & apply Promo Code). Rs. 30 off Promo Code: NEW30 (Amount Rs. 30 & apply Promo Code). Rs. 20 off Promo Code: NEW20 (Amount Rs. 20 & apply Promo Code). Rs. 10 off Promo Code: NEW10 (Amount Rs. 10 & apply Promo Code). Promo codes are valid only for new users. Offer is valid on adding money in Paytm wallet. Pay Rs 1 & Get Rs 10 Cashback. The minimum transaction amount is Rs.1. Maximum cash back per transaction is Rs.10. Valid on the first transaction in a month. Offer is valid once per user per month. Cashback will be processed within 24 hrs of the transaction. RBI mandates that up to Rs. 10 000 can be added in a month to a non-upgraded wallet. In case you breach these limits then cashback will get added to your wallet in the next calendar month. In order to allow cash back to be added earlier, we urge that you request for a wallet upgrade (available under your profile). 2) Then log in with your Paytm mobile number and password. 3) Or register a new account on Paytm. 4) If you register, then complete KYC, verify mobile number & Email ID. 5) Now goto Paytm recharge section in Paytm app. 7) Proceed to payment and pay through Paytm wallet. 9) Enjoy Free credits up to Rs 20 in your Paytm wallet.